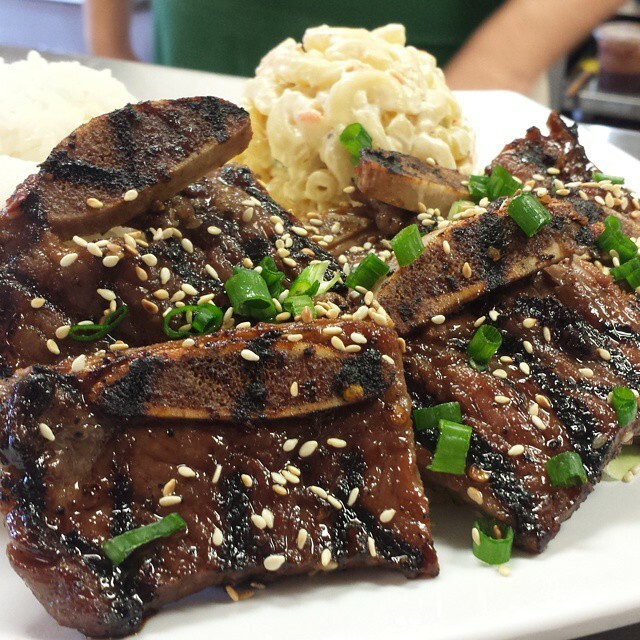 808 Grinds features Authentic Hawaiian cuisine. All plates come with a side of rice and mac salad. Seared marinated spam over rice, wrapped in nori (seaweed). Our 808 Fries seasoned with garlic and furikake. Pork and Shrimp wontons fried crispy and served with a dipping sauce. Hawaiian-Style pulled pork served naked. Boneless, skinless thigh pieces marinated, battered and fried. 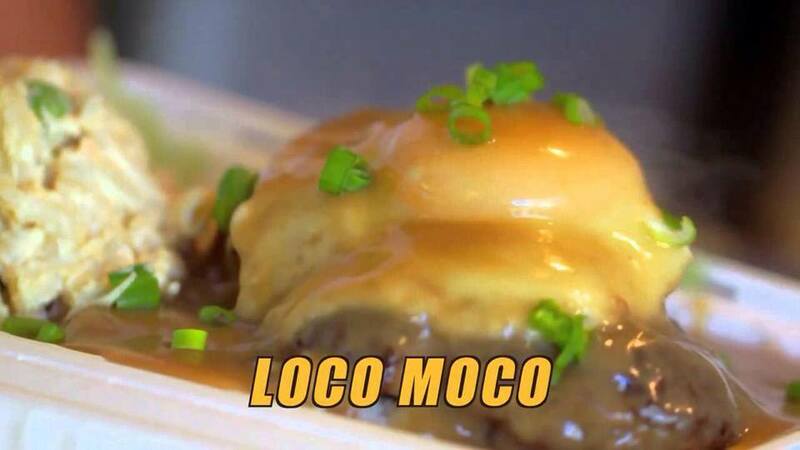 Handmade, all-beef patty grilled, topped with a fried egg, and smothered in gravy. Our Loco Moco topped with grilled onions instead of an egg. Onolicious! Panko breaded Japanese eggplant with a shiitake mushroom sauce. Salmon marinaded in our Teriyaki sauce, grilled, and served on a bed of rice. Served with Asian Slaw on a toasted pub roll. Includes chips or macaroni salad. Served with Asian Slaw on a toasted ciabatta roll. Includes chips or macaroni salad. 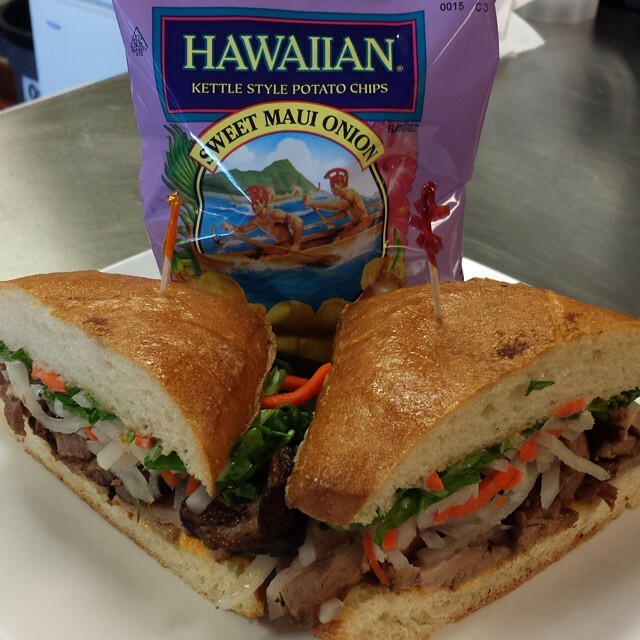 Chinese BBQ pork served with pickled vegetables on a toasted ciabatta roll. Includes chips or macaroni salad. Choose from our Cafe items in a third, half or full-pan size. All food is served in disposable pans. A third-pan serves 15 people. A half-pan serves 30 people. A full-pan serves 60 people. Korean Short Ribs, marinated and grilled. 808 Fried Wings tossed in a delicious sweet and spicy Korean-style sauce. Salmon marinated in our teriyaki sauce, grilled and served on a bed of rice. 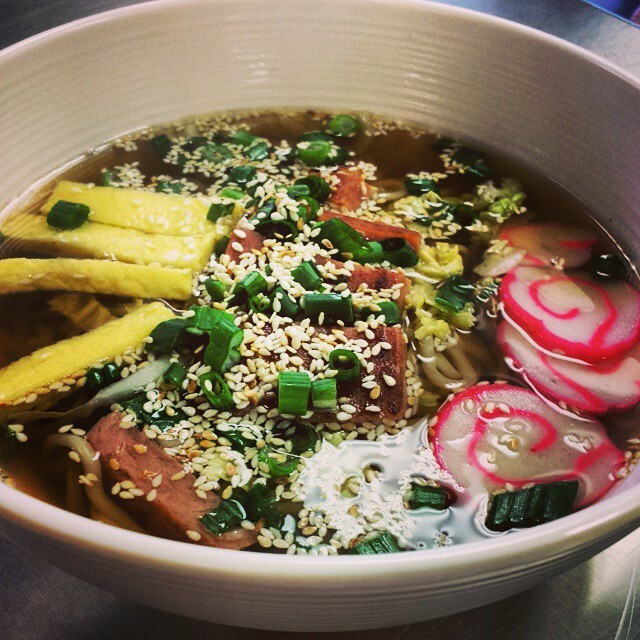 Tofu, sweet onion, seaweed, tomato, and lotus root. Thin cut pork loins, marinated and grilled. Layers of coconut haupia, Okinawan sweet potato, and a shortbread crust. 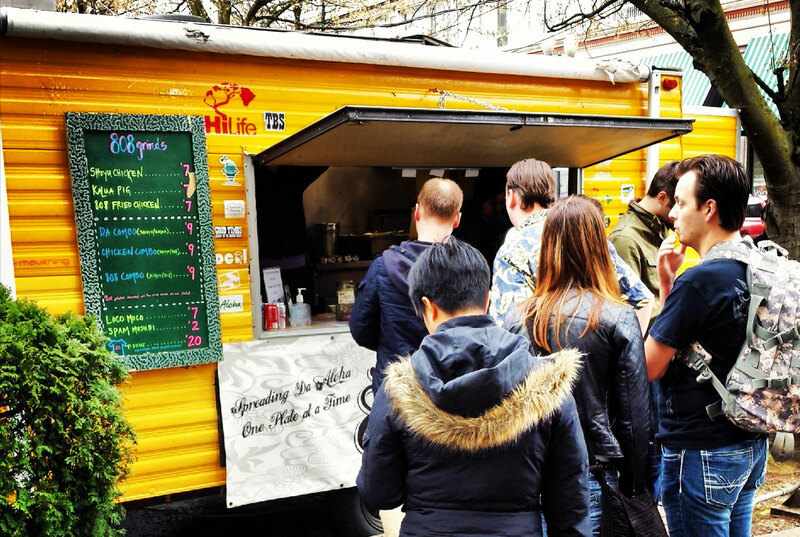 Choose from renting our Food Truck at your next big event, or get in touch to order from our full professional catering menu. 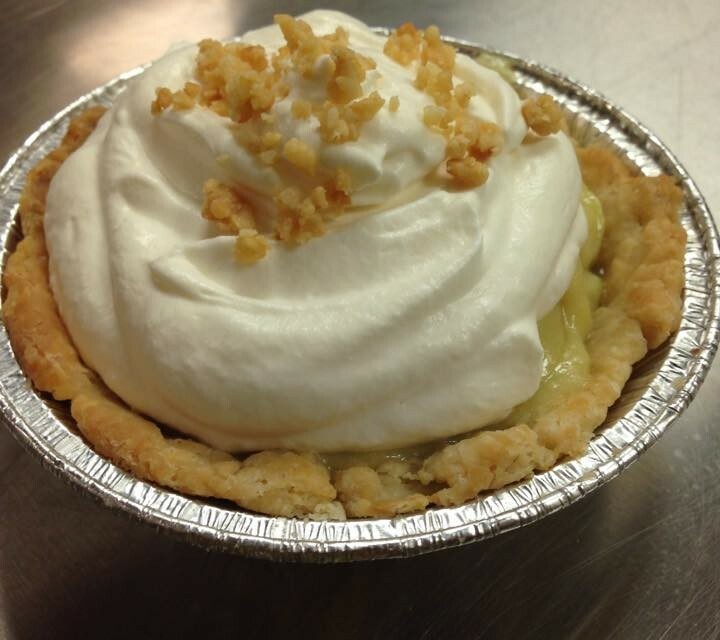 We’ll show up to your next big event and bring the flavor. 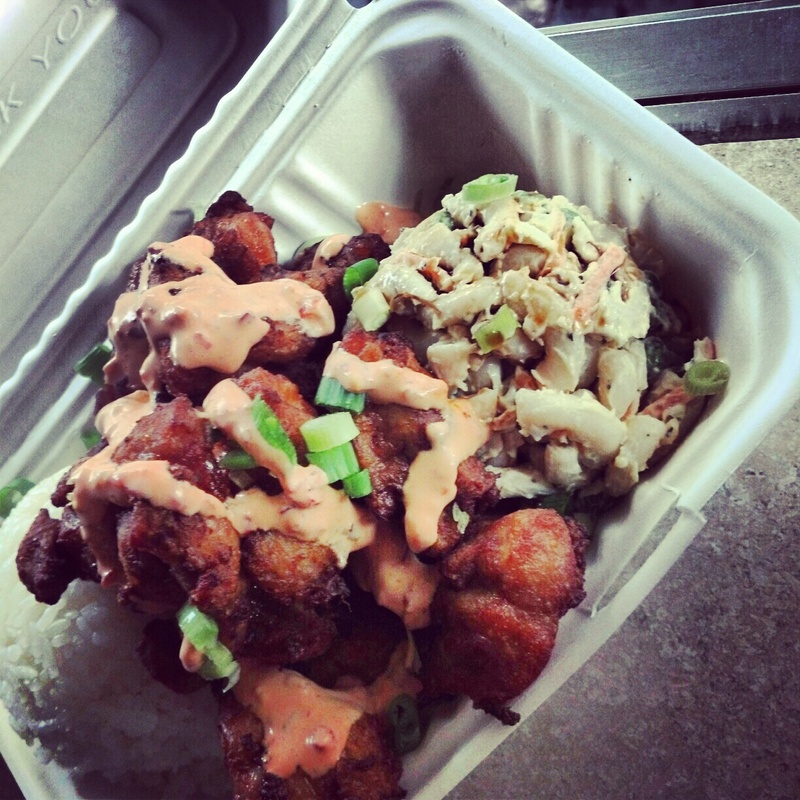 We’ll serve all of our Food Truck favorites to your crowd, providing containers, napkins, and utensils. Just find us a place to park and we’re good to go. 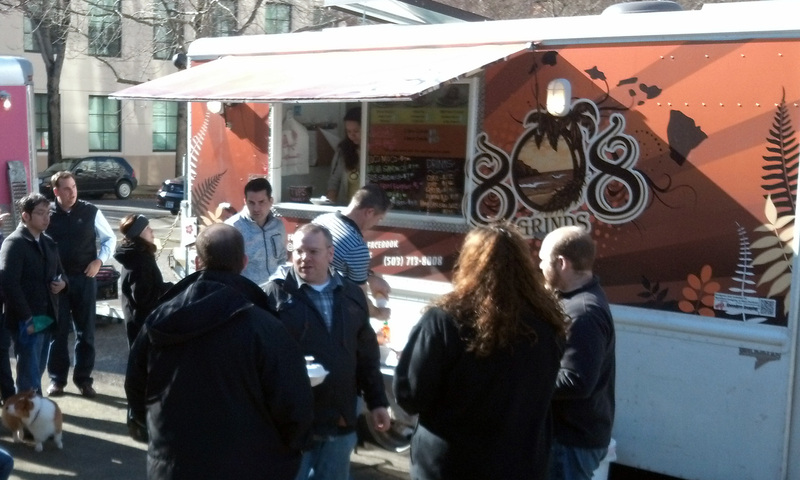 You can bring authentic Hawaiian flavor to your next wedding, large group gathering, or major corporate event. We’ll work with you and your planners to come up with a delicious memorable menu for your guests. Contact us today to learn more. Please leave us a message, question, or comment, and we’ll get back to as soon as we can. For catering, please indicate which style of catering (Street, Truck Rental, or Full), how many people you need to serve, and when your event will be and we’ll get back to you ASAP. 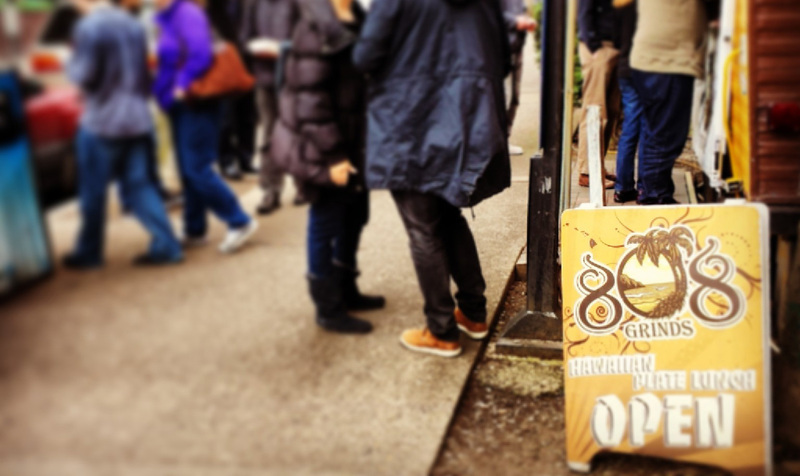 Pick-up orders are currently only available from our Cafe Location (10100 SW Park Way, Portland Oregon 97225).